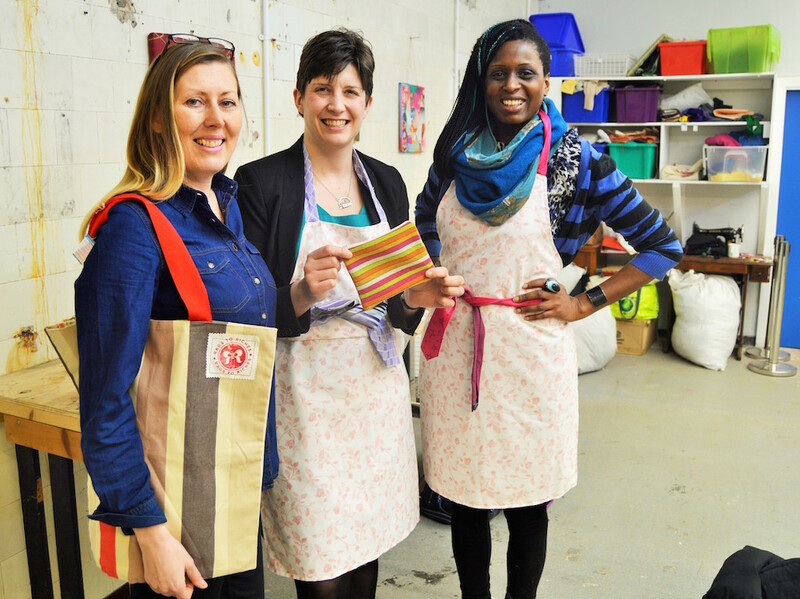 Glasgow Central MP, Alison Thewliss, recently visited the Rags to Riches project in Govanhill, which provides sewing classes for Glasgow’s asylum seekers and refugees. Ms Thewliss is calling for the city’s refugees and asylum seekers to make use the sewing group which meets every Monday at 9.45am at Govanhill Baths. “I am really grateful to Gabi and Nadine for taking the time to show me around the workshop and to tell me about the inspiring work they are doing to integrate our newly adopted Glaswegians into the community. The phrase “People Make Glasgow” is perhaps best defined by groups like Rags to Riches. “This sewing group is a great opportunity for people from all different countries and backgrounds to meet-up, make new friends, learn English, as well as new skills which – in some cases – have allowed people to go on and start up their own business. “I know the group are currently looking for more asylum seekers and refugees to come along and join the free classes, which I would highly recommend. They are also looking for donations of old clothes, curtains and duvets, which I’m sure will be gratefully received”.